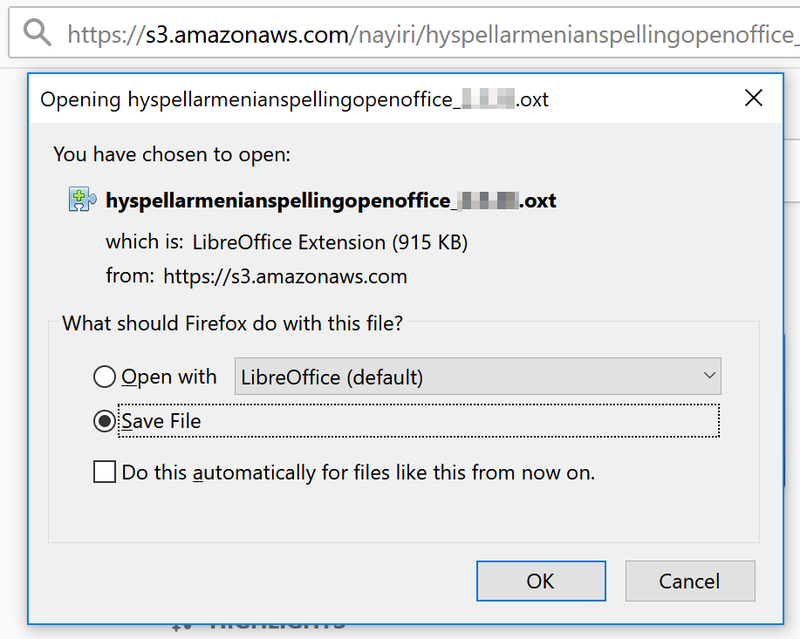 This guide will show you how to install HySpell Armenian Spellchecker for LibreOffice. LibreOffice is a free and open source office suite, including word processor, spreadsheet, presentation, and drawing software. It is a great alternative to Microsoft Office. If you already have LibreOffice, make you have the latest version by choosing Help → Check for Updates from the menu. Download and save the appropriate HySpell installation file for LibreOffice to your computer by choosing one of the links below. 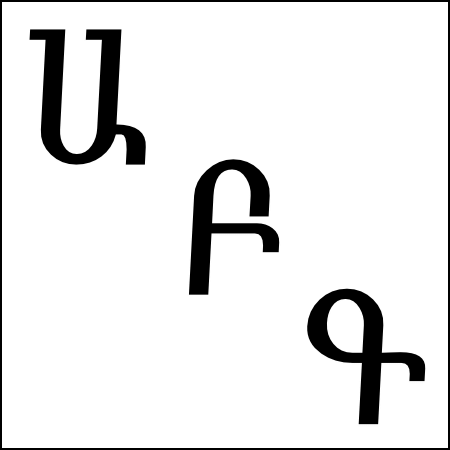 Classical Armenian orthography, also known as traditional or Mesrobian orthography, is the spelling system used in the Armenian diaspora, including Lebanon, Syria, and Iran). If your browser has the option to open the file with LibreOffice, choose that option and follow the on-screen instructions. Otherwise, continue with the instructions below. 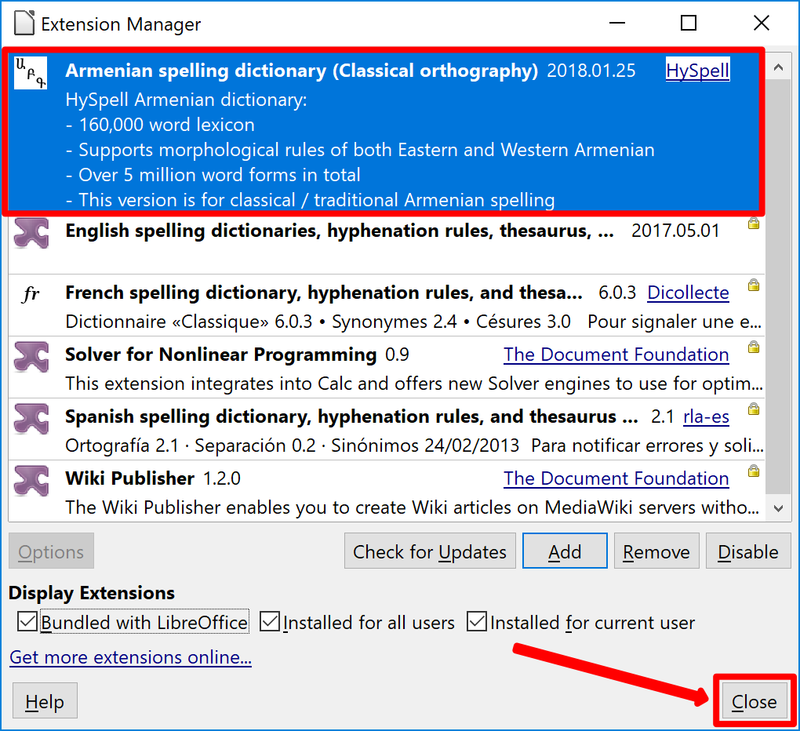 Verify Armenian spelling dictionary has been installed and click the Close button to close the Extension Manager. 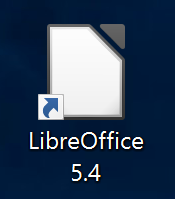 Click Restart Now to restart LibreOffice. You can now start using HySpell for LibreOffice. To learn how, see the HySpell for LibreOffice User Guide. 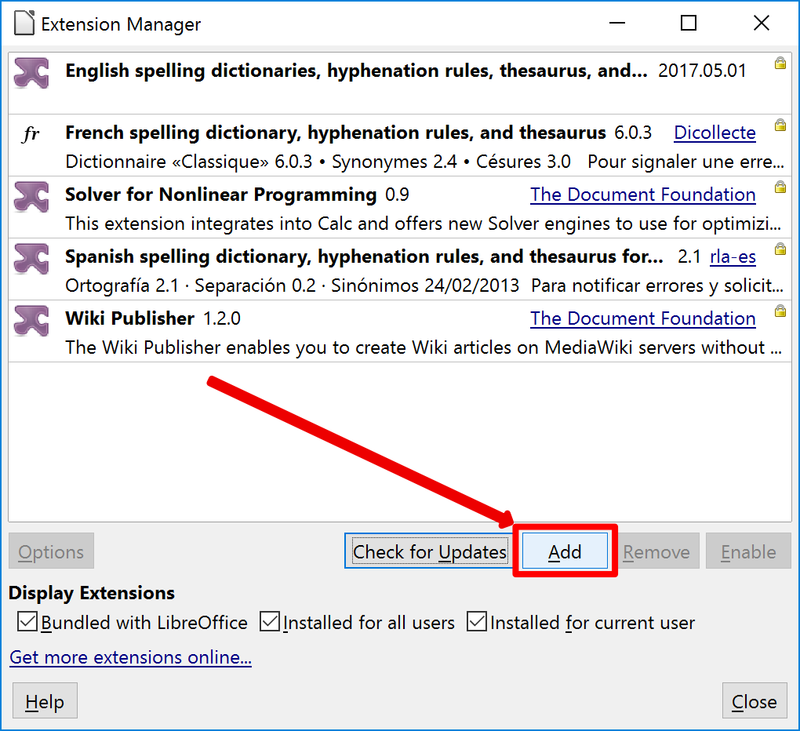 Should you need to uninstall HySpell for LibreOffice, see the HySpell for LibreOffice Uninstall Guide.